Quantum UK 2015 will be the first in a series of annual meetings of the UK Quantum Technology Hub Network that was established by the UK government to accelerate the transition of quantum technologies from research to industry. Elliot Scientific will be attending this meeting, that takes place at St John’s College, Oxford, from the 28th to the 30th of September. We will be exhibiting a wide variety of our systems, solutions, technologies, and products – both home-grown and from the companies we represent based in the USA, Asia and Europe. The conference will discuss the progress, strategy and technical challenges for all these sectors, and will bring together industry, academics, and government with the aim of stimulating new projects and standardising more mature technologies. Contact us for more information. Elliot Scientific recently installed a unique integration of Lake Shore CRX micro-manipulated probe station, CRAIC Technologies InGaS Spectrophotometer, and Zeiss microscope at the University of Southampton’s Centre for Photonic Metamaterials. Combining our knowledge of both CRAIC and Lake Shore products, we offset mounted a Zeiss microscope carrying the CRAIC Spectrophotometer onto the probe station. The microscope was supported in a custom manufactured rig to provide smooth movement in three axes above the sample chamber, enabling the researchers to closely observe the optical properties of nanostructured materials at cryogenic temperatures through a broadband objective lens of special design. Contact us if your next project requires a custom engineering solution. We can help. The Elliot Scientific June newsletter is now available. In this issue we announce lots of exciting new products. From FEMTOLASERS we have the rainbow 2 oscillator and latest FEMTOPOWER amplifier plus the WIZZMO beam characterisation and compression unit. Vescent Photonics has released its ICE Cube electronics system, and Lake Shore is delivering their new Model 372 AC Resistance Bridge/Temperature Controllers. Plus ultrathin polarisers from CODIXX and the Photonex Roadshow reaches Cambridge. The Elliot Scientific March newsletter is now available. In this issue we announce the arrival of the astounding 508 TPI adjuster screw sets by Kozak Micro, applaud FEMTOLASERS award from HAPLS, affirm the availability of Lake Shore’s affordable THz-based materials characterisation system, advance science with equipment from Vescent Photonics, and look forward to analytica in Munich and SU2P in Glasgow. 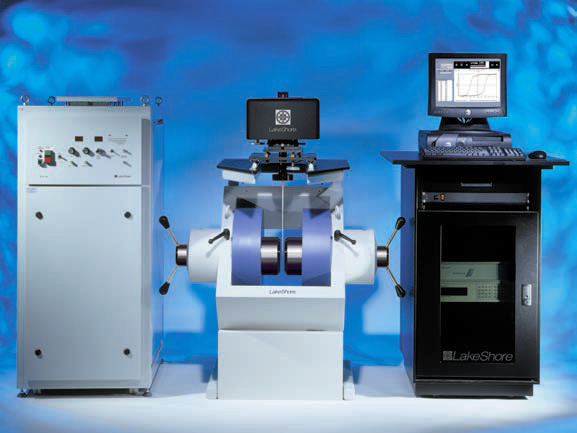 The new Lake Shore Model 8501 THz System is the first affordable, integrated, convenient solution specifically tailored for characterisation of research-scale electronic and magnetic materials. It enables fully automated high-resolution THz spectroscopic characterisation of electronic, magnetic, and chemical samples over a wide range of frequencies, temperatures, and magnetic fields, yielding detailed profiles of material responses. Researchers interested in measuring spin materials can opt for an additional cryostat insert with opposite helicity THz emitter and detector to expand the instruments’ capabilities. In addition, Lake Shore have also released two new catalogues for their Temperature Measurement & Control and Magnetic Measurement & Control ranges. Please contact us for us for printed copies of the catalogues, or for more information about the THz system. Lake Shore Cryotronics are exhibiting at the Materials Research Society (MRS) Fall Meeting from November 26th to 30th at the Hynes Convention Center in Boston. They will be highlighting their wide range of sensors, instruments, and systems used for high-precision materials characterisation research, including their line of cryogenic and cryogen-free probe stations, the new 8404 Hall effect measurement system and Model 336 cryogenic temperature controller. Lake Shore experts will be on-hand in Booth 800 to discuss recent research developments, talk through any applications issues that scientists are encountering, and help suggest solutions to these issues.